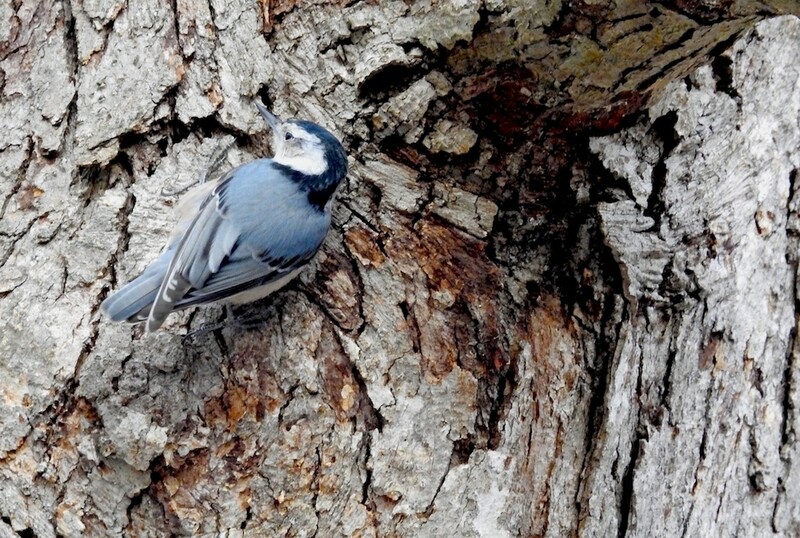 Nuthatches are not woodpeckers, though they eat a similar diet of insects gathered from tree bark, along with nuts and seeds. They also hop around a lot like woodpeckers—probably more so. 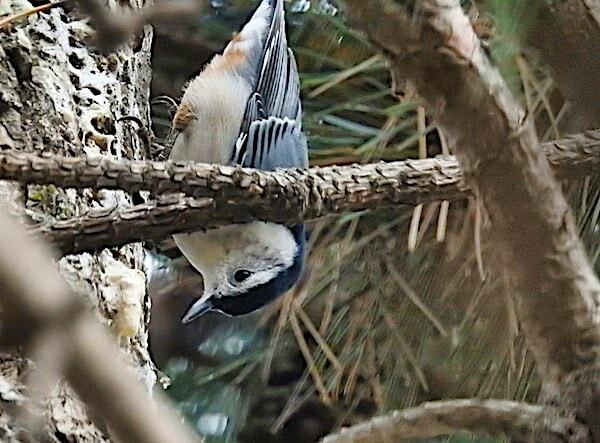 This inspired me to invent a game called “Find the White-Breasted Nuthatch.” Read the post to play.